Today I have discovered Yori. So should you. No one can be told what Yori is, you need to take the red pill and see if for yourself. Also more stuff from malxau. 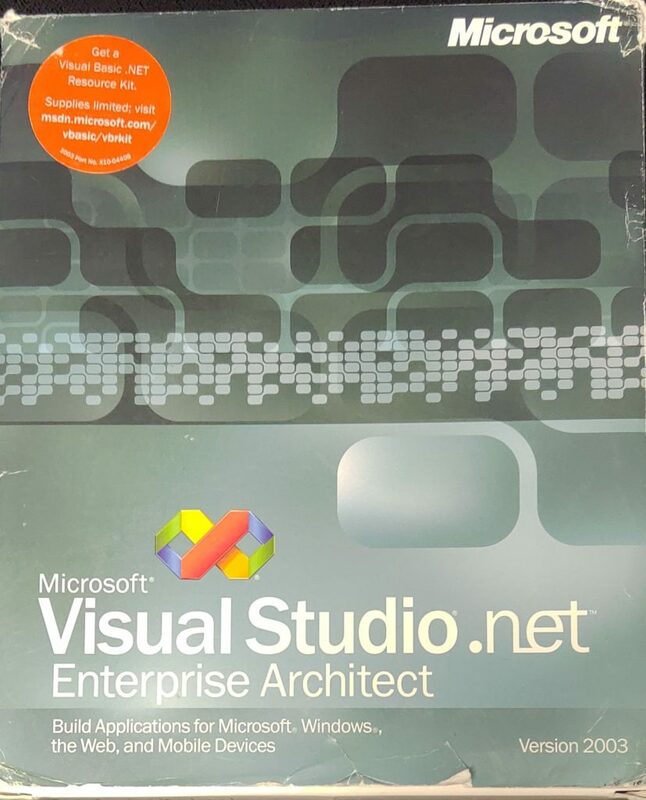 I’ve been trading emails with various people from the project after I had made my post, and helping them integrate more of Visual Studio 2003 into the project and working through a few issues to bring far better compatibility to VS 2003. And the best part is being able to build projects in parallel! I haven’t ordered new processors, so the 2.1Ghz parts are… lacking. 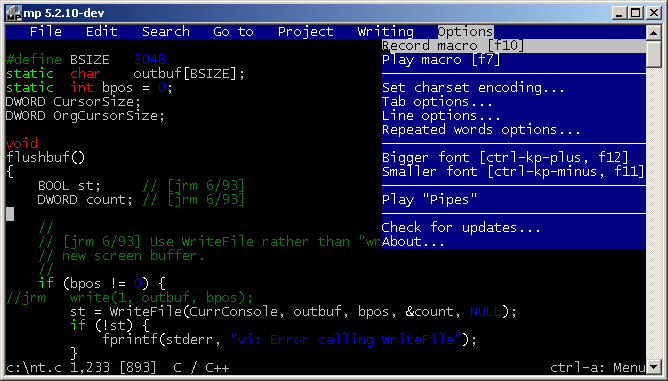 However being able to use all available cores makes building DOSBox pretty fast. 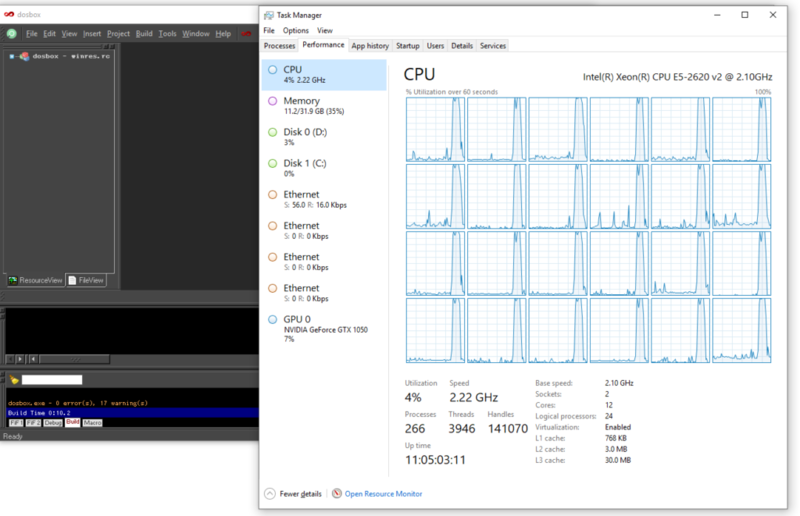 Restricting the build to a single process takes 1:13 while the full parallel build on this machine takes a mere 10 seconds! 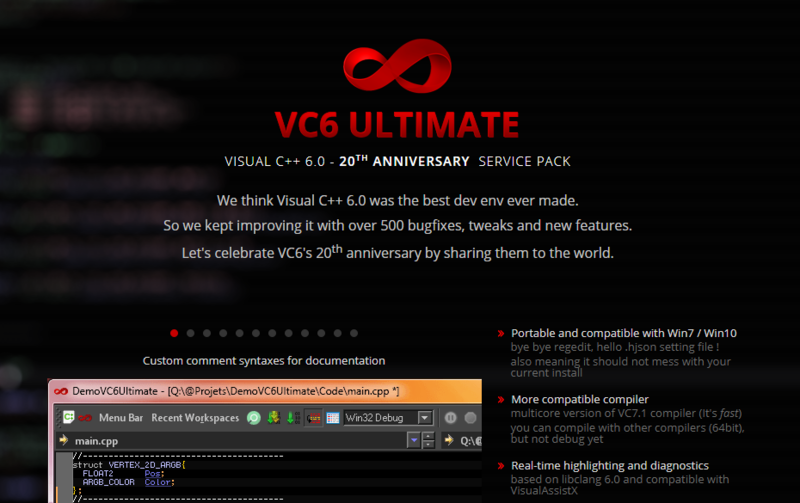 So absolutely check out VC6Ultimate! I uh, also saw this on archive.org, which may help people looking for this stuff from the future as old tools get harder and harder to find. Especially bigger editions like the Enterprise Architect version. As I got a ‘totally legit’ serial code in my box of cereal. 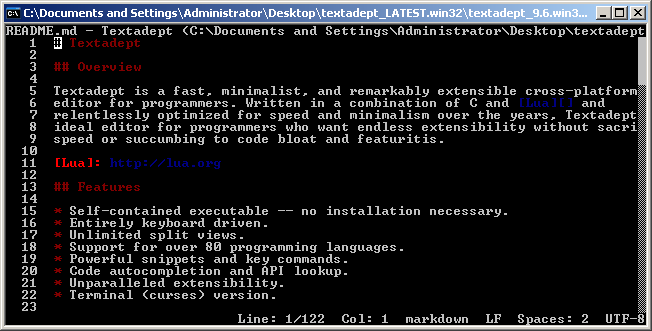 After the install I thought it’d be fun to install the Linux Subsystem. That’s right ARM Linux userland! I still have high hopes for Windows on ARM (I have 2 Windows RT devices now!!) although I’m not holding my breath. Maybe there will be some ARM boards that are suitable for the desktop that aren’t over 1k USD.. That’d be nice. Interesting trivia is that the Linux Subsystem started it’s life on ARM as a way to run Android binaries on Windows Phone. And true to everything Microsoft does, it got to the point where it could start to run things (albeit poorly) and was summarily killed. 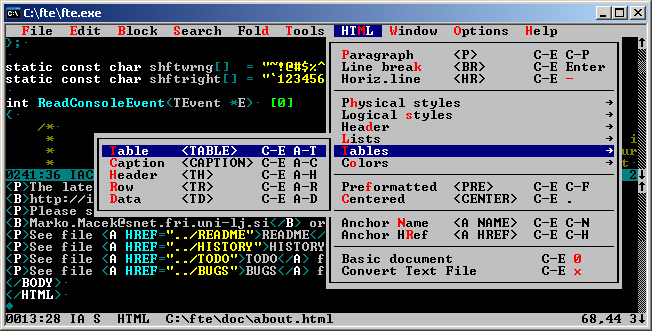 Although it’s found life despite the original false start as a general ‘text mode’ subsystem for Windows. 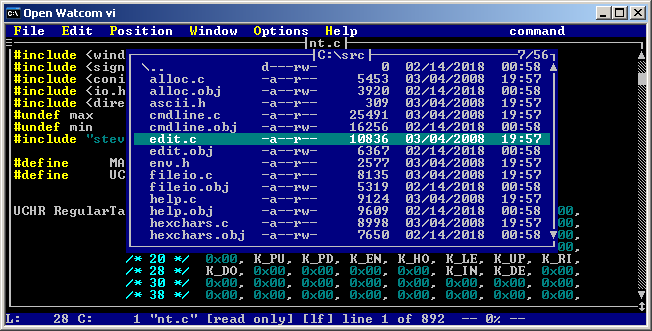 However running Linux binaries on Windows currently just shows that NTOS isn’t as efficient as the Linux kernel when it comes to emulating the Linux ABI. Although this was the original ‘dream’ of the microkernel, and a POSIX subsystem for NT was always part of the original design, although it really was more of a checkbox for GSA contracts, and outside of being able to use pax & vi it really was handicapped by not having BSD extensions, and especially by not having any access to the TCP/IP stack. I saw this the other day, VC6 Ultimate. 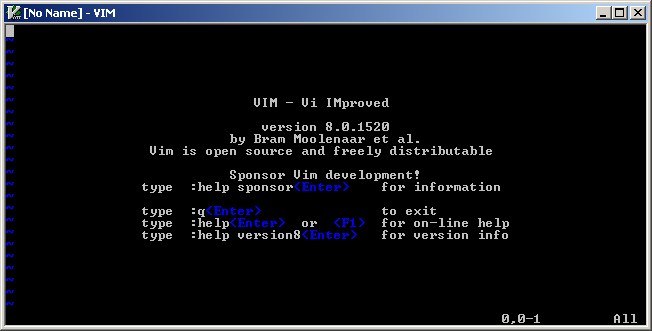 It’s an interesting ‘update’ on the old Visual C++ 6.0 product with an improved UI, along with updated compiler toolchain taken from later versions of Visual C++. Naturally something like this is 1000000% unofficial. 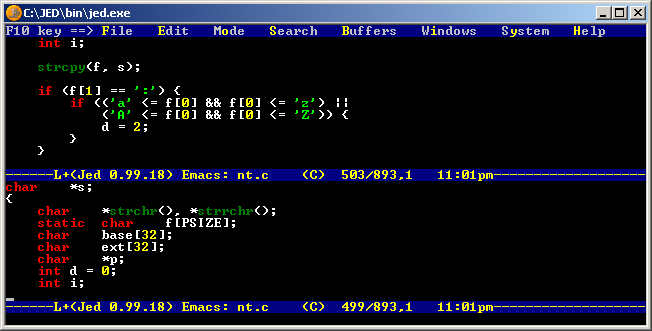 bye bye regedit, hello .hjson setting file ! It’s an interesting project, although I tried to re-build some Visual C++ 2003 projects and it bombed out. Maybe it’s just more geared towards VC 6 as indicated. The SQLOLE OLE object could not be registered. 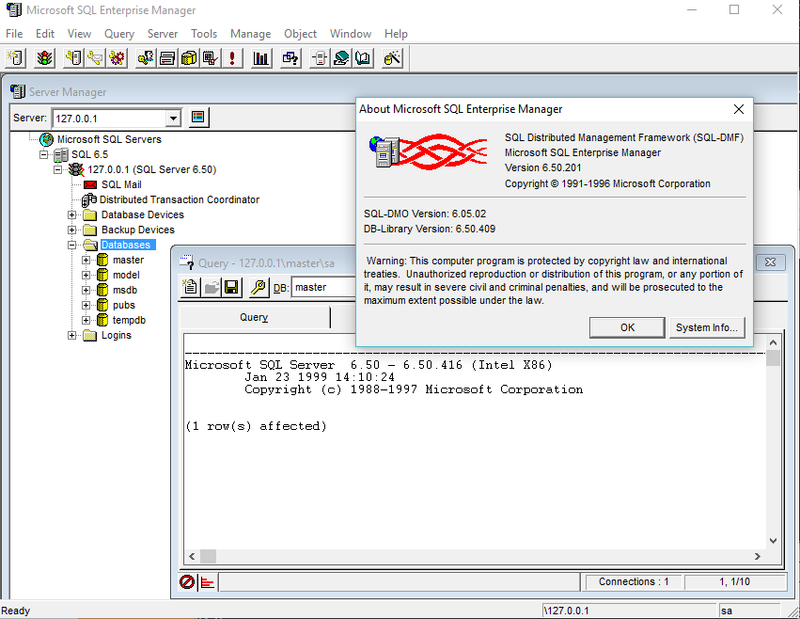 Your SQL Server installation is either corrupt or has been tampered with (unknown package id). Which clearly means I’m missing something in trying to transplant settings. 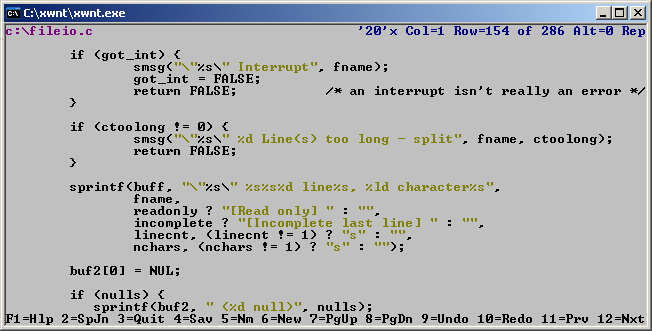 However for some reason SQL 6.5 I can register the SQLOLE type, and boom! Which picks up the one in the default path. What about system32? The module was loaded but the call to DllRegisterServer failed with the code 0x80040005. Well great. This typically goes back to a permissions issue, or the wrong regsvr32.exe being called. 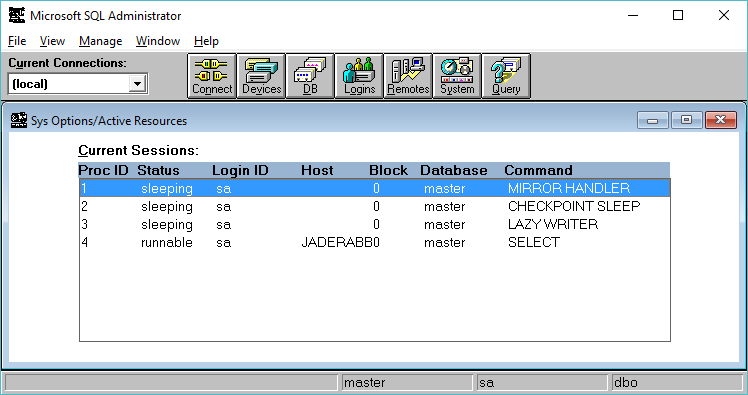 With this COM object registered, you can now launch the Enterprise manager! 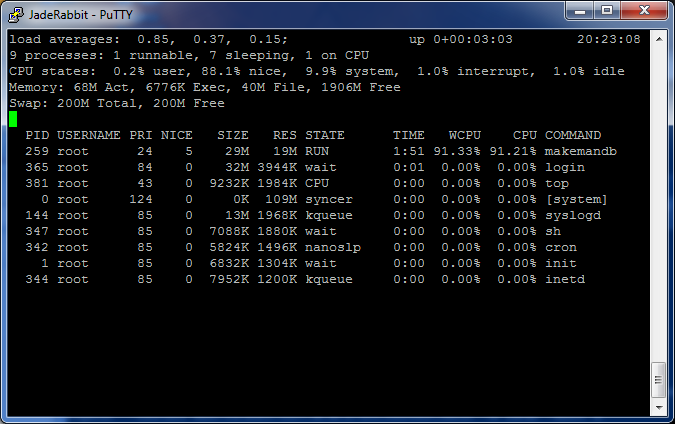 Running this and it renamed the local SQL instance, and shut it down. Restarting and it connected to itself just fine. 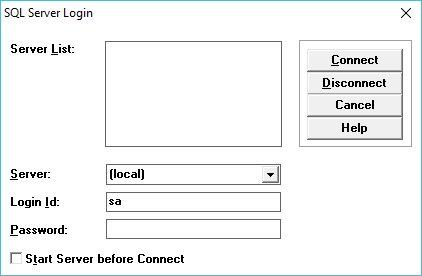 Naturally change YOURSERVERNAME to whatever your hostname is. SQL server always wants to be called whatever the actual hostname is, otherwise things break in strange and confusing ways. Is this terribly useful? Probably not. 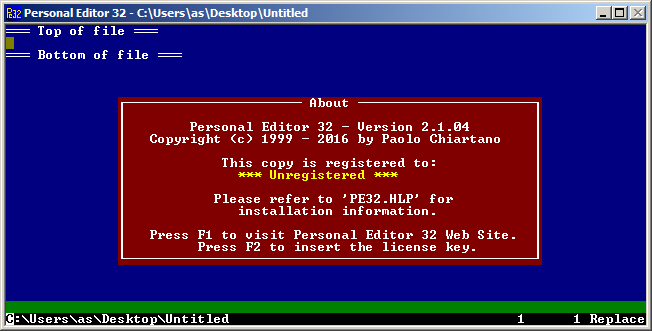 But I think it’s kind of interesting to run 90’s era server software in the 21st century. Sure I wouldn’t want to run any of it in any type of production environment, but it shows at it’s core how Win32 has not drifted. 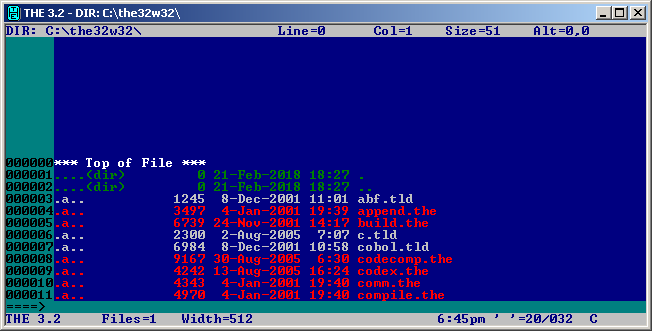 However looking at the Microsoft Management console of SQL Server 7.0, and how it will not either run on Windows 10, nor will the snapin run show just how fragile the house of COM turned out to be, and meanwhile good old fashioned Sybase/Win32 code still runs from 1993 onward. I suppose the next thing to do is to try it on Wine, or a fun enough debugger/syscall trace to see what on earth SQL 7.0’s problem is. I don’t have any doubt that it’s nothing that can’t be fixed, although back to the root point, would you really want SQL 7.0 in 2016… or even SQL 2000 for that matter. It’s been 7 YEARS, since I last took the SQL Server 4.21a plunge by getting it running on Windows Vista. I was thinking with all this Windows NT 3.1 fun, I should get SQL Server 4.21a up and running on my current Windows 10 machine. However this proved more involved. 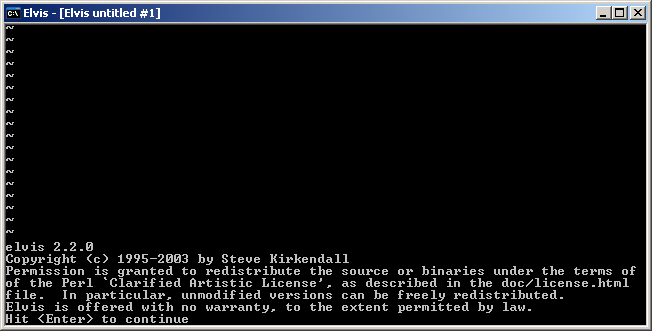 Unlike Windows Vista, the setupdll.dll from Windows NT 4.0 will not work. 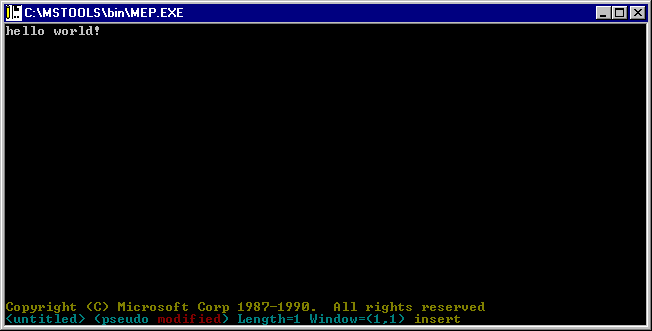 I used the one from Windows NT 3.1, and it will run the setup program fine, but the file copy bombs out. I went crazy and modified the setup.inf to not actually copy files, take an xcopy of the raw files from an old install, and it won’t even try to install the service, it just builds a master database, and exits. 16/10/13 21:19:08.40 kernel Unable to start due to invalid serial number. Well isn’t that great. So naturally you either have to install it, or just import an existing registry key setup like this SQL.REG file. If you are so inclined, you can even remove named pipe support, and have it listen only on TCP/IP. Or the other way around. Or even change the TCP port. 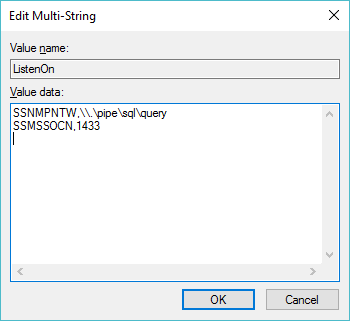 In the HKEY_LOCAL_MACHINE\SOFTWARE\Microsoft\SQLServer\Server key there should be a Multi-String key called ListenOn … and it’s just the network transport DLL, and how they listen. As you can see SSNMPNTW is the named pipe transport, and SSMSSOCN is the TCP/IP transport. SQL Server really wants to load the TCP/IP trasnport DLL from the Windows\System32 directory. 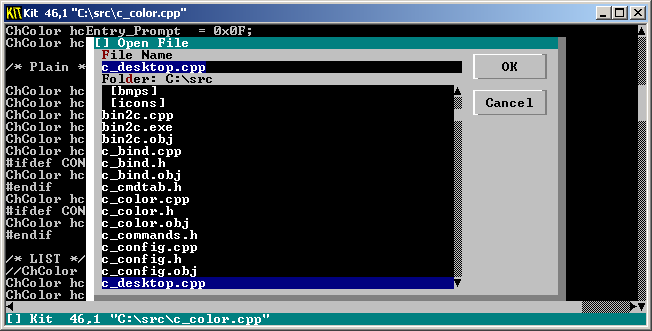 On 64bit versions of Windows, however that means copying the SSMSSOCN.DLL file to the SysWOW64 directory, in order to have TCP/IP networking. 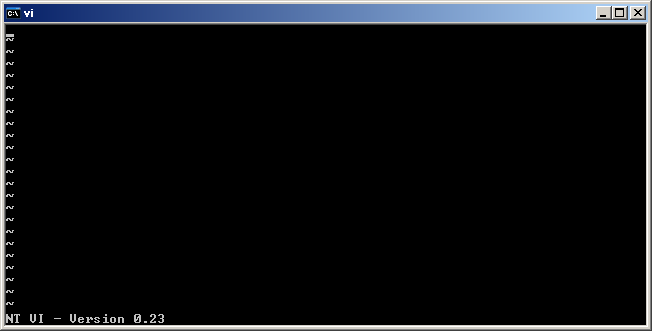 SQL server is not terribly useful in it’s current state as it turns out that master database is actually empty. So without stored procedures or much of anything you really can’t do anything with it. 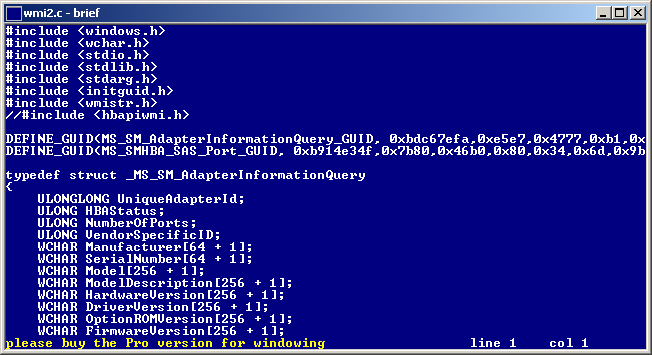 However looking at the install directory there is a bunch of SQL scripts. Even better on the VM where I’ve installed it, there is some output files, that by their date & time tell me in what order to run them! And now it’s running. 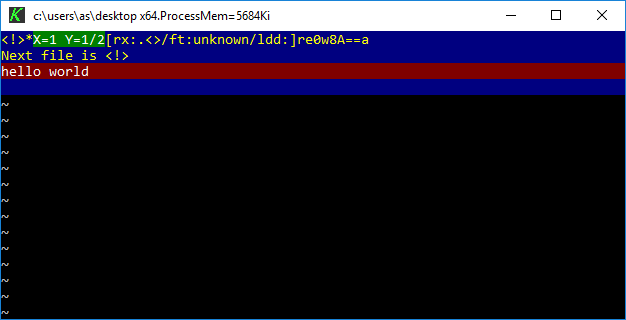 If there is any issues, or your master database is either damaged, or just plain doesn’t exist, you can create one with the BLDMASTR.EXE program. 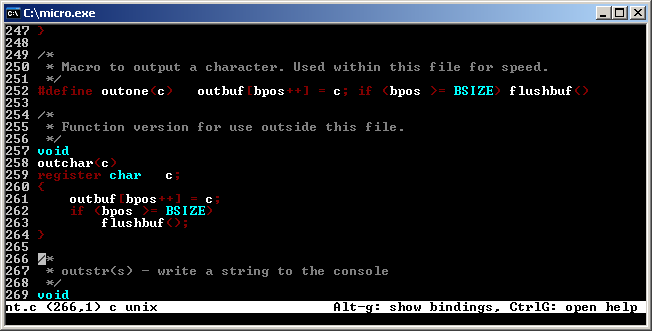 Now the file CONFIG.SQL needs to be modifed (if you have a prior config) or created. And once this has finished it will have populated all the tables in your master database. Hit CTRL+C in the SQL Server window, and it’ll shut down. Re-launch it, and it’ll be initialized. Remember by default the sa user has no password! And we are good to go! 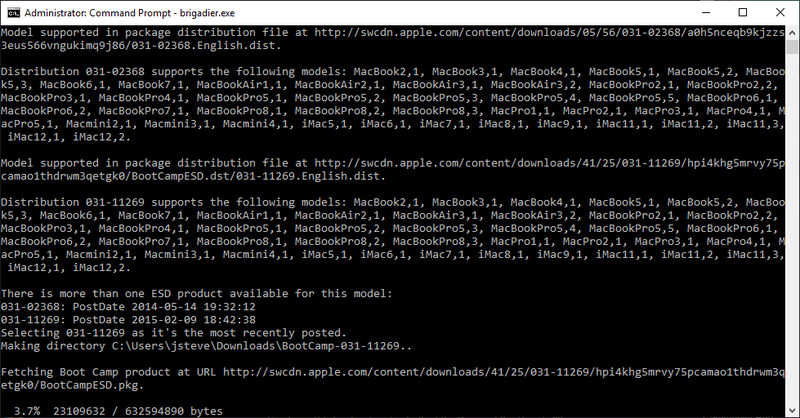 Feel free to grab SP4, and apply it by unzipping, and copying the files & dll’s to their respective places. 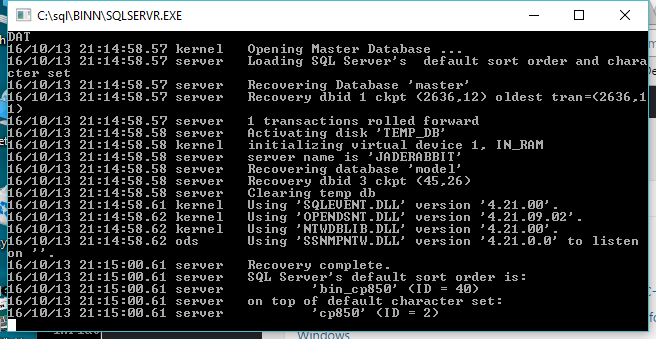 So there we go, from January of 1994, to October of 2016, SQL Server still running! As a follow up, check out Loading the MS SQL 6.5 drivers on Windows 10, for enabling ODBC access on newer versions of Windows. Phew is this rather involved. First you need to download over a gigabytes worth of files. For something that is going to be embedded you need a MASSIVE amount of space. I went ahead and installed the JDK in a normal directory, The same went for the Android SDK. The NDK is a 7zip file, that I went ahead and put at the root of my C drive because I’m that kind of guy. Next I unpacked ant into the NDK directory, and SDL. 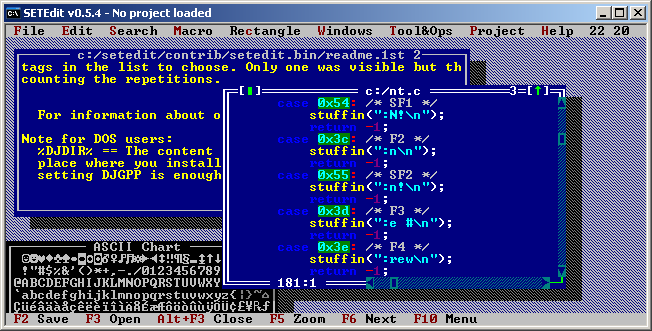 For SDL be sure to use some command line or other unzip tool that makes sure that the text files are translated appropriately, otherwise they are impossible to read in good editing tools, like notepad. Now to stage the project directory. 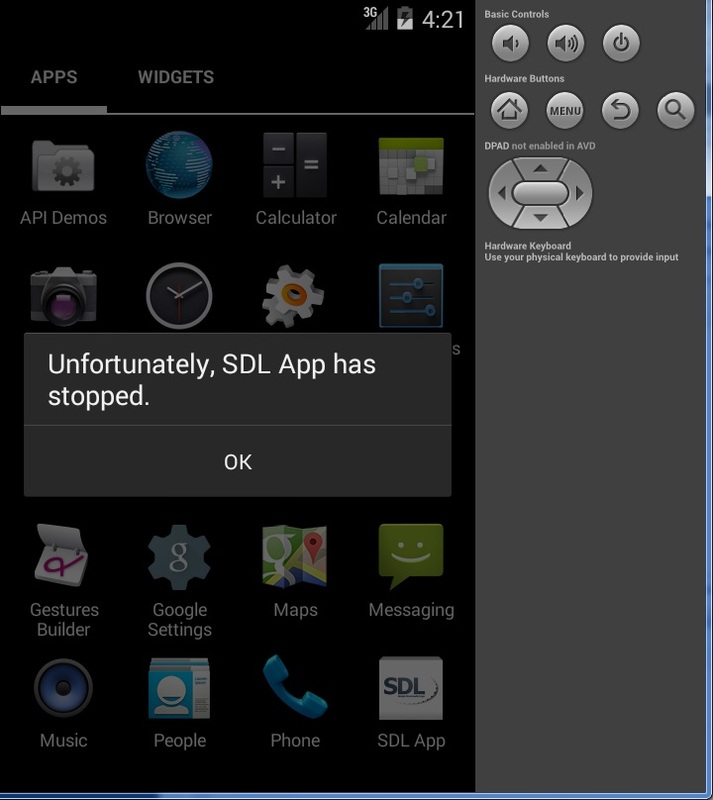 The ‘Android project’ that we are going to build out of is *INSIDE* the SDL archive. And SDL needs to be inside the project directory, so we xcopy out the bits we need. 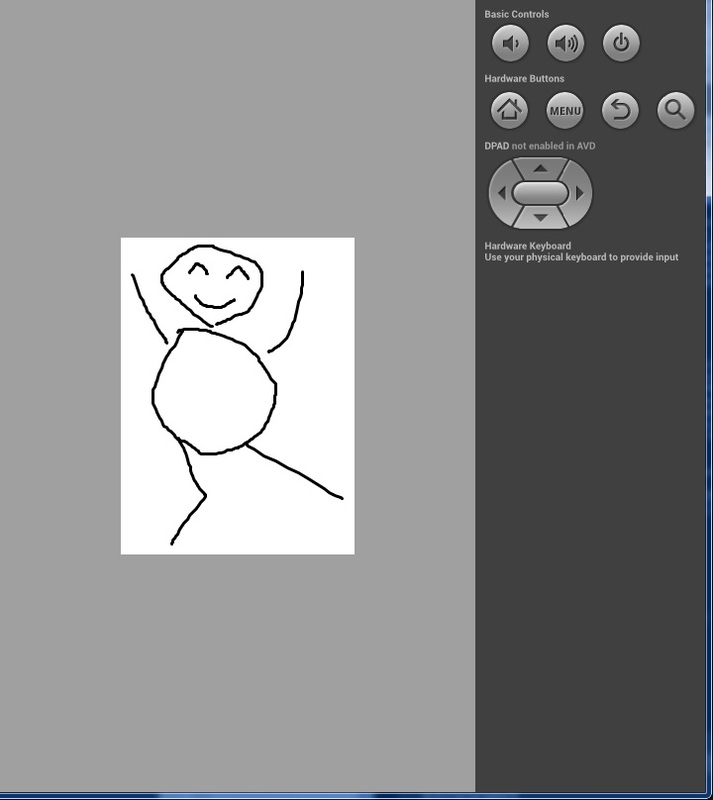 Now we need to set some environment variables. Again this is where my stuff is, yours may be different. Now to run the program, we can fire up one of the emulators (you will have to configure one no doubt) using AVD. I just clicked around, and picked something that’d launch. The shell seems to crash a lot, but otherwise yeah. 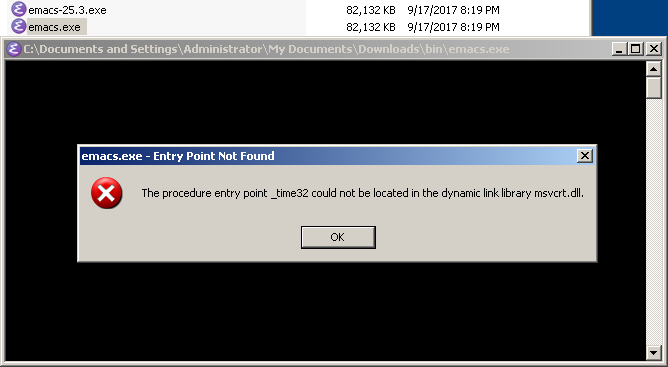 And on my first shot at running, it crashed. Well it turns out signal was an inline function until platform android-21, now it’s not inline anymore. When you use the ndk r10, android-21 is used by default but it’s not fully retro-compatible with devices running former Android versions. In this case, signal can’t be found on the emulator. (It did run properly on my Lollipop phone). Re-compile with ndk-build, and re-upload with ant then you are good to go. 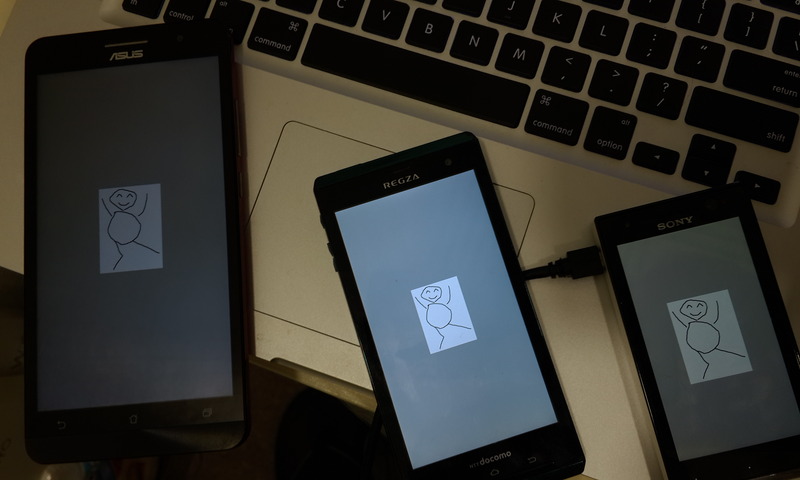 I grabbed, and borrowed some phones around the office, including an x86 phone and yeah it works! I haven’t even tried to cross build libraries on Windows… I suspect I should be doing this on OS X or Linux. I thought I’d try it for the heck of it, and it’s working enough to go multiuser, but it has some issues with hitting the disk & network pretty hard. But it does let you install! And in no time I was booting up! 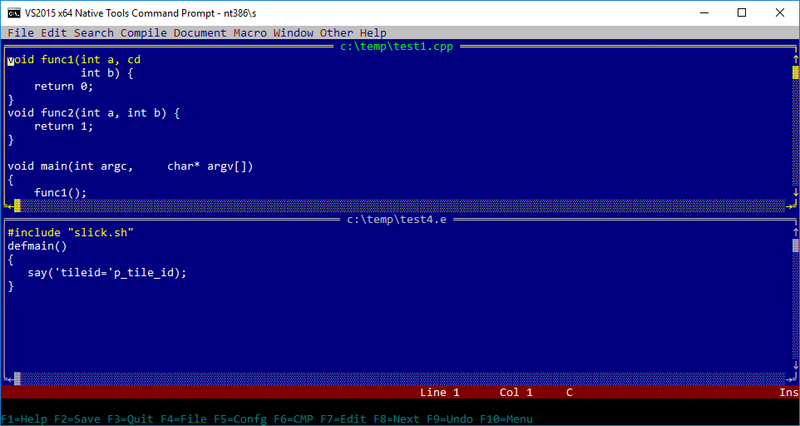 No counter-timer — using %tick at 100MHz as system clock. FATAL: boot device not found, check your firmware settings! You are using a serial console, we do not know your terminal emulation. or upgrade an existing NetBSD system, with a minimum of work. item, or type CTRL+N/CTRL+P to select the next/previous item. The arrow keys and Page-up/Page-down may also work. Activate the current selection from the menu by typing the enter key. Wow, how’s that for cool? A few notes though, if you use a VMDK disk access is dreadfully slow during the install, raw disk images are MUCH MUCH faster (36Kb/sec vs 3+MB/sec). The kernel cannot figure out the root disk, so you have to tell it on every boot. When installing it’s cd0c, when booting off the harddisk it’s wd0a. The e1000 adapter causes the kernel to go crazy, and on bootup the system indexes the man pages, which seems to kill the machine. As you can see this is what happens when you hit the disk too hard.. But yeah, I can’t complain!